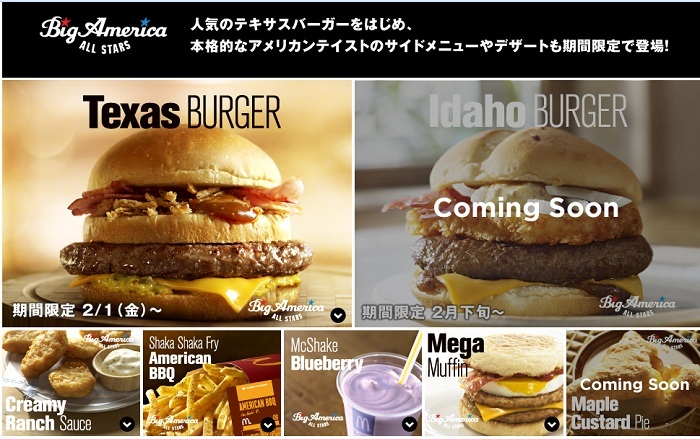 Starting today at McDonalds in Japan, the Texas Burger is back on the menu for a limited time. It will be followed by the Idaho Burger. and coming soon…Maple Custard Pie. It must have been difficult to play at first. yes i can understand the japanese stuff in the game, and i am used to it! Oh, I thought that you meant you can read Japanese. Do you play the game in Japanese? It’s not that big actually. i play the game in japanese and oh ok. Yes, that’s right. Hash Brown potatos. Come to Japan and you can buy that burger! International travel is too expensive! As much as I dislike fast food, I must say that the Idaho burger was the best fast food burger I have ever tried!